The Trade and Investment Queensland (Europe) team, based in London, works to attract investment into Queensland from the United Kingdom, Western Europe, Russia, Eastern Europe and the Nordic countries, as well as supporting exports by Queensland companies into those markets. The team travel regularly throughout the European markets. Queensland has been driving Australian economic growth for more than two decades. Our leading mining, agriculture and tourism industries are complemented by dynamic and growing knowledge-intensive industries. Queensland has proven itself to be highly resilient in the face of the global economic crisis, continuing to grow at a pace outstripping other Australian states. Queensland contributed to around 20 per cent of the Australian economy with international exports of over $52.1 billion in 2009-2010. Queensland is the ideal investment environment with a stable economy, low business operating costs, highly skilled workforce, great lifestyle and strategic Asia-Pacific location. Queensland offers a range of business advantages including a stable economy, supportive government, and a solid growth forecast. Queensland’s low operating costs, highly skilled workforce and strategic Asia-Pacific location create an attractive investment destination. Queensland Government initiatives, including innovation and commercial grants, and expected spending of around $15 billion on infrastructure capital works in 2011-12. IMD World Competitiveness Yearbook (2011) ranked Australia’s economy as the second most resilient to economic cycles in the world. Dun & Bradstreet (2010) ranked Australia alongside Canada, Switzerland and Norway as the safest and most secure destination for foreign investment in the world. Business investment is recovering from the natural disasters that occurred in 2010-11, and will accelerate beyond recovery in 2011-12. Forecast growth in Queensland for 2011-12 is 5.6% – well above the national forecast of 3.5% (Access Economics). A return to headline growth offers a range of opportunities for your business or investment, as it will be driven by further investment in mining, the developing liquefied natural gas (LNG) industry, and business and residential reconstruction. Queensland’s economy outperformed most advanced economies in 2009-10, recording growth of 2.3% (International Monetary Fund 2011). Economic growth in Queensland in 2011-12 is forecast at 5.6%, the state’s fastest growth in the past 5 years. Queensland’s average economic growth rate through the last decade is at 4.2%, with our economy now valued at nearly $260 billion. Queensland has had the highest average economic growth rate over 20 years of any Australian state or territory. Queensland is a magnet for business investment, with a record $184.5 billion in known projects for the June quarter 2011 (Deloitte Access Business Outlook). Business investment in 2011-12 is forecast to increase by a nation-leading 27.75%. Over 2010-11 Queensland had the strongest business investment growth in mainland Australia at 13%. Queensland’s export volumes are forecast to grow at a decade-high rate of 10% in 2011-12. 75% of Queensland’s exports are to Asia. In 2009-10, Queensland’s largest value merchandise exports were to Japan, China, India, South Korea and Taiwan. Queensland is Australia’s second largest trading state by value. Queensland’s population is projected to double to around 9.1 million people by 2056 and Queensland is projected to replace Victoria as Australia’s second most populous state in 2050. Queensland contributes an above-average share to Australia’s exports, reflecting our strong outwardly focused economy. The Queensland Government has invested more than $3.6 billion over the last decade in the state’s science and technology, research and development (R&D), innovation and commercialisation capability. Queensland has been recognised by the World Bank as a global innovation hot spot. Our investment in high-end research capacity has seen some of the world’s best scientists and researchers attracted to Queensland. Queensland is the home of the cervical cancer vaccine Gardasil. This drug was developed by former Queenslander of the Year, Professor Ian Frazer, Clinical Immunologist. Professor Frazer is the founder and leader of the University of Queensland’s Centre for Immunology and Cancer Research. 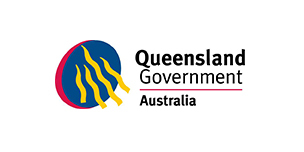 The Queensland Research and Development Investment Strategy 2010-2020 ensures continued strategic investment in Queensland’s knowledge abilities that will benefit business and individuals alike.